Washington Wine Month: some must haves…. I enjoy wines from all over the world. There is no favorite wine region in my world, because I can find wines from any region that are lovely. To me a solid, good wine… is a solid, good wine no matter the location. However, March is Washington Wine month and being a proud Washingtonian, I feel the need to focus attention to Washington wines. I have fallen in love with Fall Line’s wines, especially their Bordeaux blends. They are smooth, earthy, and fresh. The two varietals I highly recommend are Boushey Vineyard Red Blend – out of YakimaValley (39% Cabernet franc, 34% Merlot, 27% Cabernet Sauvignon). The 2009 received 91 points from the Wine Advocate. The Boushey is an easy drinking wine that infuses the flavors of cassis, herbs, current, earth and plum on the palate. It seems like a lot of flavors, but it all blends perfectly together. The winery suggests cellaring it for a couple more years, but this wine is enjoyable right now as well. The other elegant, yet rugged Bordeaux blend is their Red Willow Vineyard Red Blend (64% Merlot, 21% Cabernet Sauvignon, 15% Cabernet franc). Out of the two blends, this would have to be my number one. It is a medium-bodied wine that is tight at first taste. But after a few swirls, it opens up beautifully. It could benefit from another 2-4 years of cellaring, but I find it even enjoyable to drink now. It has the flavors of smoke, black current, spices and cherry. Its tannins are slightly chewy (For the new wine novice, I will explain tannins in another blog. But basically they give a wine structure and texture). 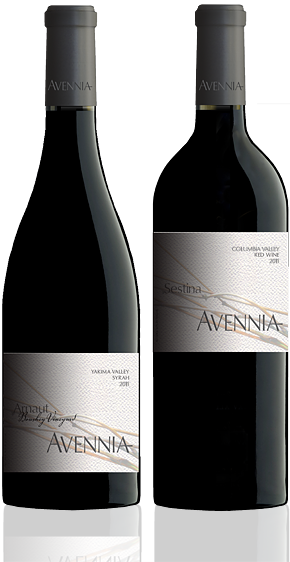 This wine also made the ‘100 Best Wines of Washington—The 2012 List,’ Seattle Met magazine, September 2012. Both these wine are a little pricey. But worth the splurge. The Red Willow sells at The Grape Choice (http://thegrapechoice.com/) for $34.99 and the Boushey sells for around $30.00 on their website. Both wines can be found easily in many local wine shops throughout Washington. I stumbled upon Domanico Cellars about 2 years ago. I don’t remember how I heard of them, but once I found this winery in Ballard, I had to check them out. Talk about a find of lifetime. Domanico Cellars is a small family owned and operated winery in the heart of Ballard (and opening soon, a tasting room in Prosser , WA- where their vineyard is located). Jason Domanico is one of the most friendly, humble wine makers I have ever met. The second you walk into the winery, he makes you feel as if you are part of his wine family. Probably because his whole family is involved with the wine making process (Jason, his wife Jill and daughter Anna) so he has a family minded business sense. 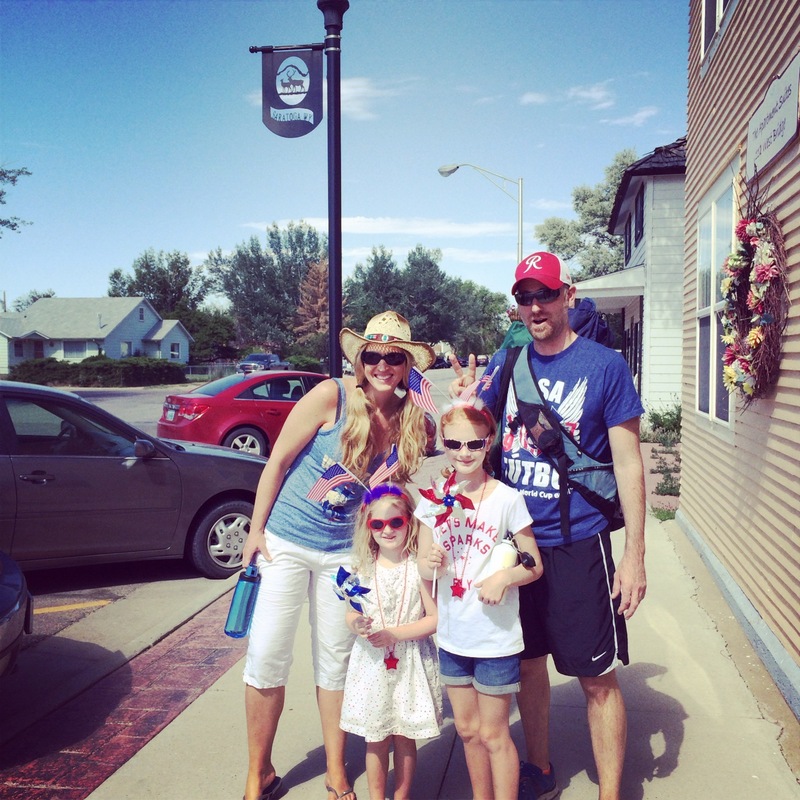 We have visited the winery many times on a Friday evening with our children and a box of pizza. The kids enjoy pizza (and if Jason’s daughter is around, a play mate) and we delight in his wonderful wine line-up. 1. 2010 Lewis Family Vineyard Riesling $15 – a dry, yet refreshing Riesling that would be a perfect pairing with seafood. 2. 2008 Le Flirt $21 – a blend of Merlot, Malbec and Cab Franc. It’s a spicy (flirty) blend!! 3. 2008 Mesa Rojo $21- A Cab, Cab Franc and Malbec blend that is an easy drinking, every day wine to drink with your dinner. 4. 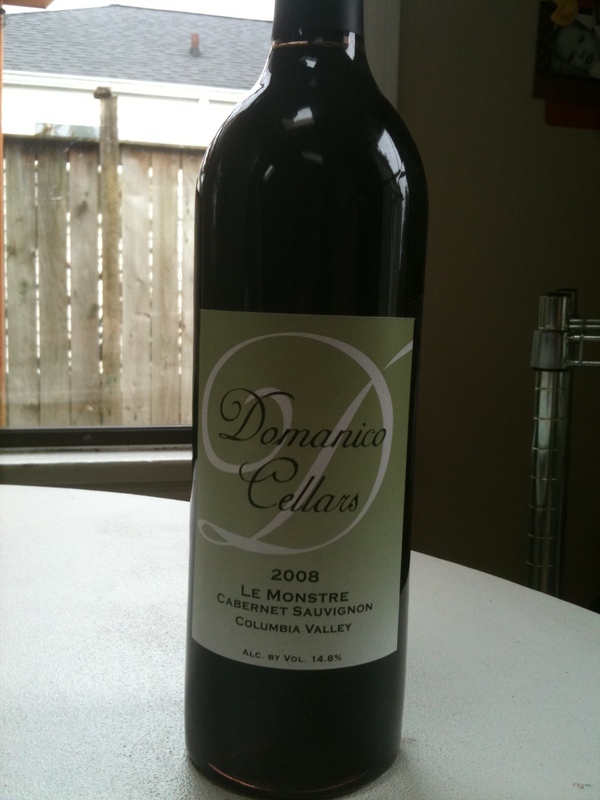 2008 Le Monstre $21 -a predominately Cabernet Sauvignon (with 25% Cab Franc) wine. This is a dark, rich wine that could hold for up to 10 years. 5. 2008 Reserve Cabernet Sauvignon $32 – I tried this wine for the first time about a month ago and fell in love. It is a smooth, rich, dark Cab that should be decanted for an hour or so. A must try! But don’t take my word on Domanico Cellars, try it for yourself. Tastings are free and wines by the glass are only $5 (The reserve is $8). Pack the kids,the dog and head down on a Saturday evening. You will be happy to find this wine slice of heaven. 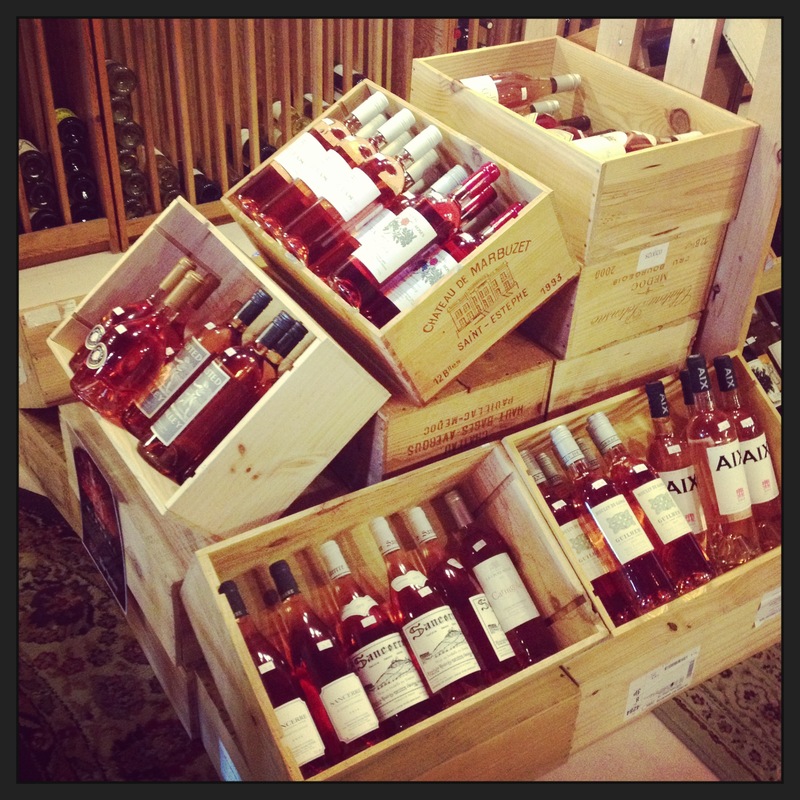 If you live in WA, make sure to support our local economy… and purchase a Washington wine (or two). If you live outside the Evergreen state, I challenge you to put down your California, French and Italian wine. Go to your local wine merchant and ask for a Washington wine. You will be pleasantly surprised – I promise! PS – you can always order these wines through the winery’s website – unless you live in a state where they continue to have this funny law where wine cannot be shipped to you (and if that is the case, you should move). I am typically a red wine drinker. Since this past summer though, I have been drinking a lot more whites. Even in this cold, drizzly Seattle weather, sometimes a crisp white wine just sounds tasty. Lately, I have been gravitating towards wines that start with V… Strange huh? Does a wine that begins with V ring a bell for you? Verdejo (Verdelho) – Ola! This is bright and fairly medium bodied Spanish (and Portuguese) white wine (although, I have an Australian Verdejo last night from Mollydooker and it was a lot of fun). Being this is typically a Spanish wine, it pairs well with most fish/seafood dishes, pastas (esp. with pesto) and vegetarian dishes. This is also a wine that will go nicely with an Indian dinner or something with a lot of spice. It has a well balanced flavor with many foods! Vinho Verde– This fun Portuguese, semi-sparkling white wine is inexpensive and goes well with spicy foods. This wine, in general, does not have a whole lot of flavor, but I feel it blends nicely with spicy foods (I had one with empanadas and it tasted brilliantly together). It would also be a fantastic wine to drink with fish tacos, seafood stews and crab cakes. You usually can find this wine under $10. What a steal! Valpolicella – This is not a white wine, but I wanted to add in as a favorite red wine of mine. Valpolicella is an Italian, light-bodied dry red wine from the Veneto region. Like with Viognier, I have had some bad Valpolicella that tasted thin and had the flavor of dried cherries and stale licorice. I am REALLY picky about my Valpolicella. Finding the right one can take work, but again high risk means high rewards. Once you find the right Valpolicella (look for Valpolicella Classico Superiore) it will be smooth, well rounded. This wine is great to start your dinner party off with. 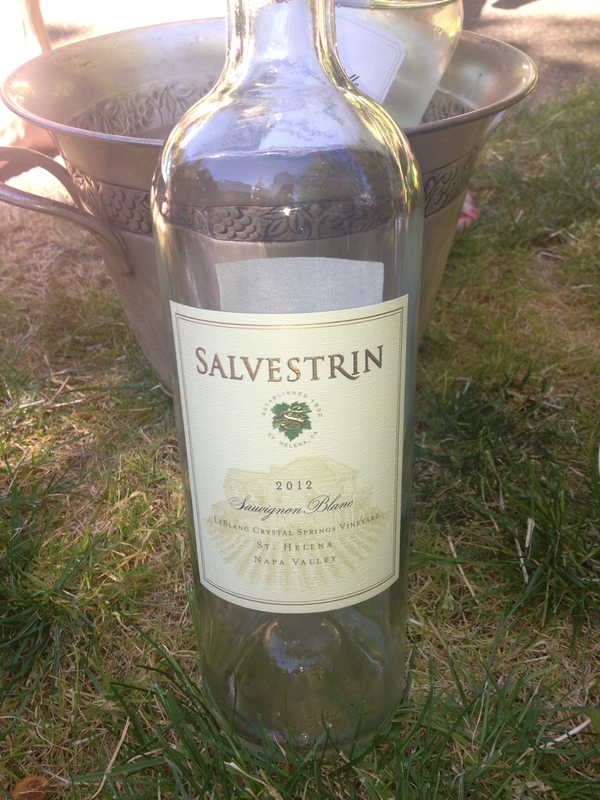 Pairs well with Italia dishes (pizza, pasta, etc), Risotto, grilled/roasted chicken and sausage. Go ahead and show off your adventurous wine side to your friends. Bringing one of these V wines to your next party will impress your other wine novice friends. And it’s just nice to break out of the norm. Put down that Chardonnay and pick up a Vermentino! Cheers and Happy February friends…. 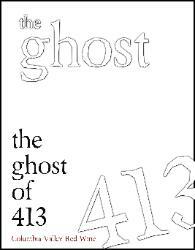 The Ghost of 413 a Red Blend from Columbia Valley. At first taste, all the moisture was pulled from my tongue. As I look at the bottle, it doesn’t say what the blend is. My guess is some sort of Cab blend – with the dryness and big bang flavor. I wasn’t sure of this wine, it took almost a half of glass for me to decide if I liked it or not. The smell and taste of this wine doesn’t match. The smell is full of berry and spice, but the taste has a woody, cherry, coffee flavor. It is a nice wine however, especially if you like a full bodied Cab. This isn’t my favorite wine, but if you are a fan of big, dry wines, or you like to try new things, you will enjoy this one. Limited cases of this wine – very big flavor. Not a 100% Cab, but has the big bang of one. I do not eat meat, but I can imagine this would taste very nice with a grilled steak or juicy prime rib. It you prefer a lighter red wine, or not a fan of red’s at all, steer clear of this. But, if you would like to shake up your taste buds a bit – give this wine a try. And remember not to judge at first taste. This one takes a while on your taste buds.